Series exploring the hidden corners of the UK. 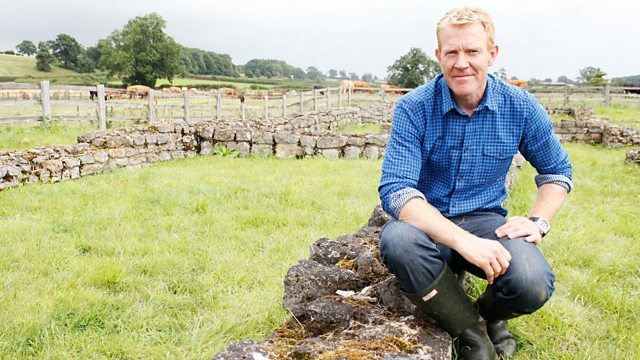 In North Yorkshire, Adam Henson discovers the remains of a forgotten glass-making industry. Ellie and Adam go on a journey around the mysterious moors of North Yorkshire. Adam meets a farmer whose father discovered a secret Roman villa some 50 years ago while ploughing. Finds of Roman pottery inspire Adam to share his secret skill with the potter's wheel. Ellie tries to solve the puzzle behind Britain's highest pub - why was the Tan Hill Inn built atop the moor, miles from the nearest customers? The secret lies buried in centuries-old mine workings, if only Ellie can find them. Now the Tan Hill Inn has reinvented itself as a cool music venue, which leads Ellie to reveal her own secret past as a country singer. In the picturesque Rosedale Valley, Adam discovers the remains of a forgotten glass-making industry scattered in the bracken. Why were French immigrants making glass in secret on the Yorkshire moor some 400 years ago? A teenage boy whose ambition is to be become a gamekeeper shares his favourite secret places in the breathtaking Yorkshire countryside as he takes his pet ferret to work the land looking for rabbits. The best kept secret in Whitby is the unseen warren of back alleys and hidden gardens, known locally as the Whitby Yards. Ellie investigates how these former slums have now become highly sought after havens of peace. As she visits the remarkable ruins of Rievaulx Abbey, Ellie discovers, hidden from the public gaze, the long lost faces of the men who built it. Adam and Ellie's journey reaches a climax with the hunt for Yorkshire's finest view. The author of All Creatures Great and Small famously claimed that it's from Whitestone Cliff, next to the majestic Sutton Bank - but can Adam and Ellie find a view that's even better and, above all, secret?